Have you noticed that for every goods and service provided to you, you are given a piece of paper containing a list of those things with the price just right next to it? That piece of paper is called an invoice. These written invoices are somewhat like a bill of sale invoice. Even daycare centers hand these out the moment you got your service. It is understandable that for every service invoice provided to you, you will have to pay as an exchange of what they provided. 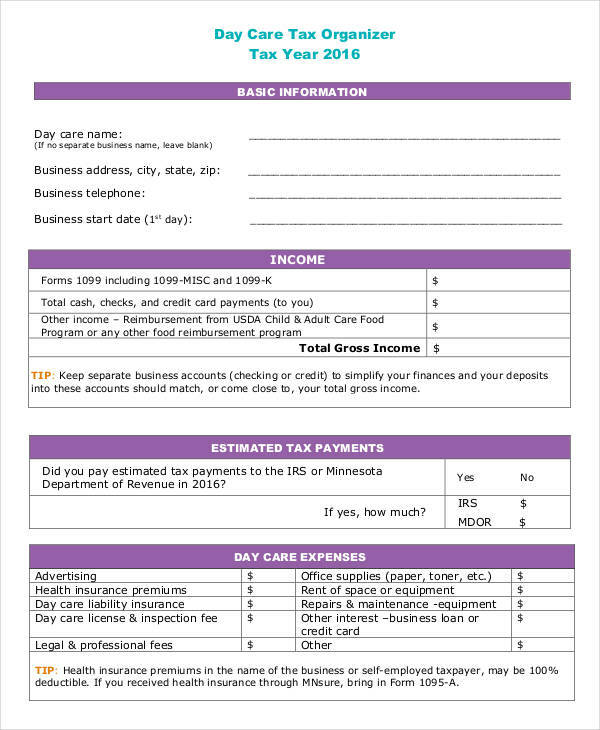 In this discussion, you will be able to learn and see different types of daycare invoice. 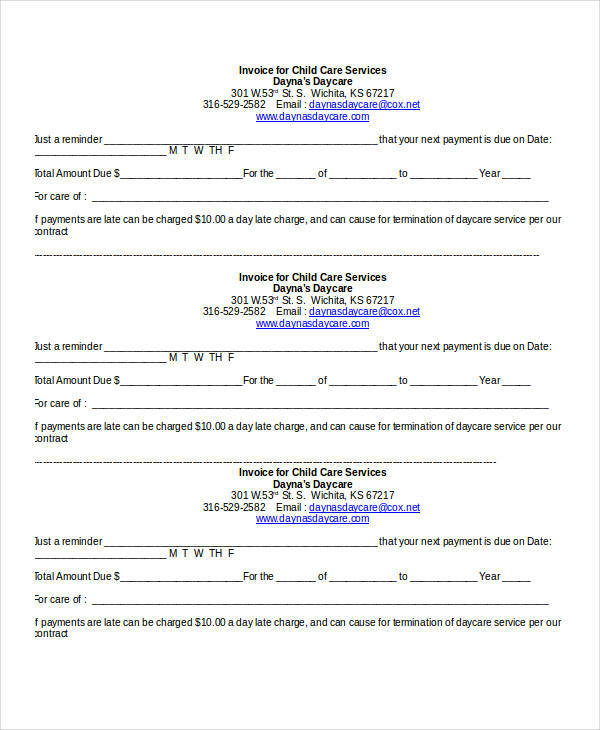 What Is a Daycare Invoice? 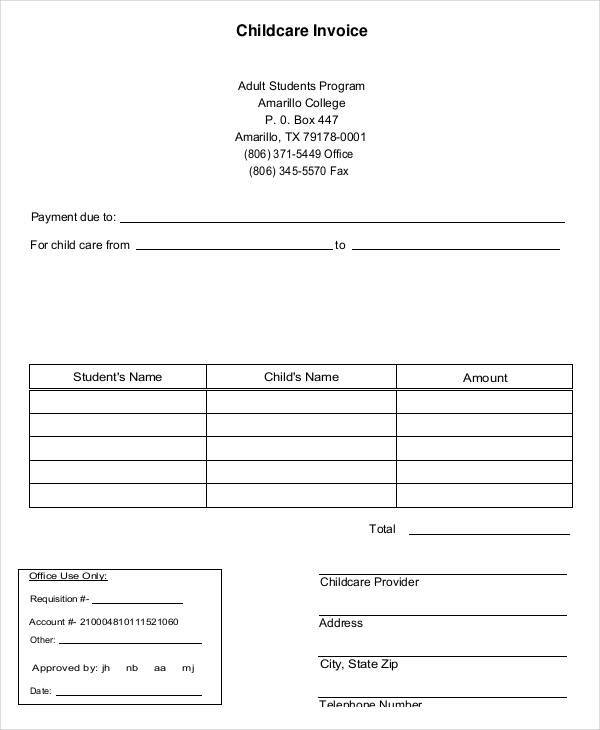 Before using a daycare invoice, let us get to know what a daycare invoice form is. Let’s take it one word at a time. What is a daycare? If you have kids, you would certainly know what a daycare is. Daycare is a daytime care of a child by a third party while the parents are working. 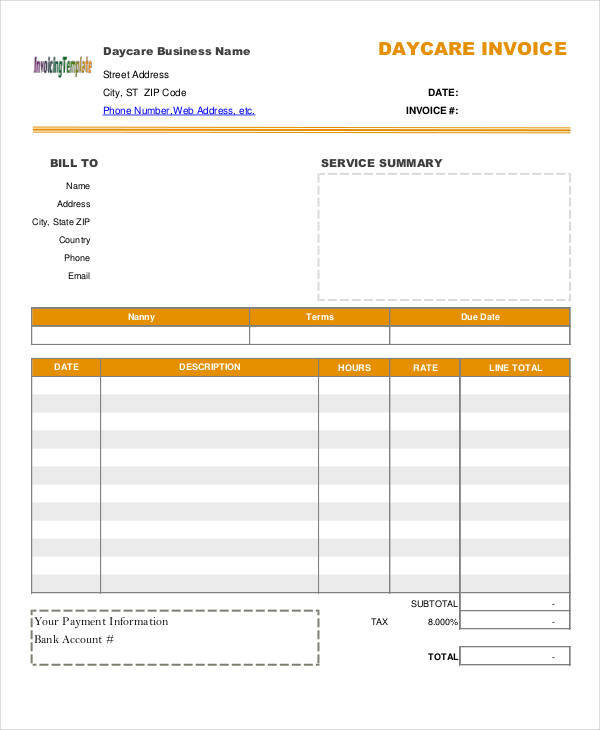 Invoice, on the other hand, is a form where services provided are listed. Therefore, a daycare invoice is a form given to the customer containing list of all goods and services provided by a daycare center. Life has been a lot easier today with the help of technology. You can just download simple invoices and make it your own. But if you want an original and you want it to look pro, well, you can do that too. All you have to remember is what a daycare invoice should have, its format, and you can do anything you want. There are many ways an invoice can be beneficial to the service provider as well as the client. printable Invoices may not look that important, but there are times when you least expect that you need these documents. 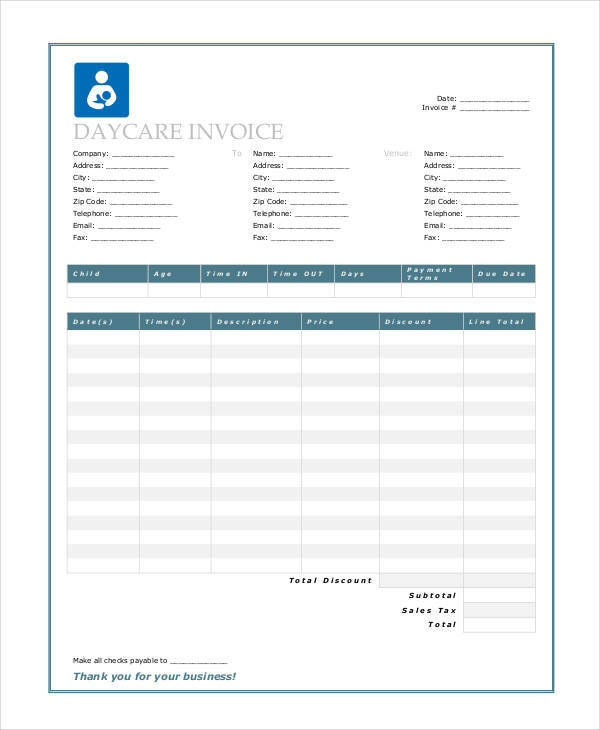 From the provider’s viewpoint, daycare invoices help a lot. Why? 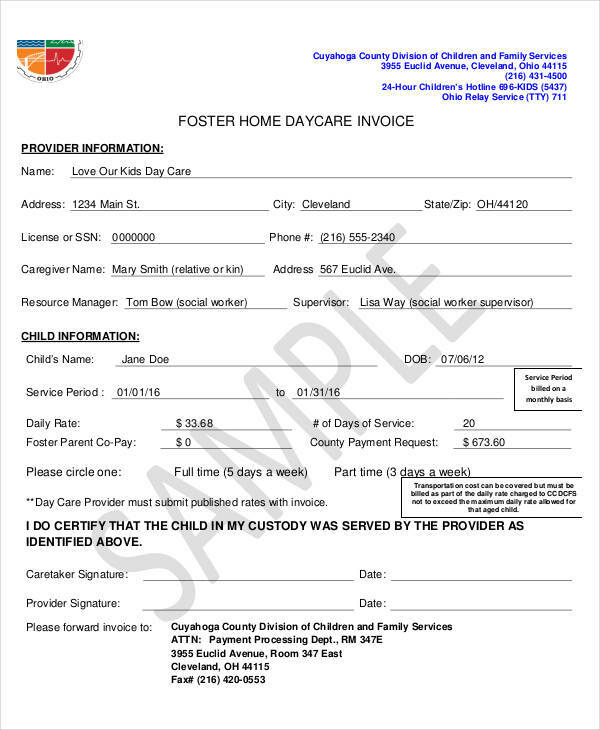 Like other invoices, a daycare invoice pdf is evidence that a service or product has been provided. With that, daycare centers will be able to track their service operation. It would let them identify who are their frequent customers. With the use of an invoice they will be able to track the financial performance of the center, if it is making progress or not. On the other hand, most people would just ignore these free invoice. Some customers see it as a useless piece of paper. But if you think about it, this invoice has a section providing a detail of the babysitter, giving you full knowledge about that person. Invoice indicating the person responsible for your child while you are away ensures that your child is safe, so in case something happens to your child, you know who to look for.